With the rapid development of our digital technology, basic video editing can no longer meet the needs of users. To create awesome videos at your own will, you are perhaps more willing to edit it on PC according to your personal thoughts. Assuredly, it sounds like a pretty good idea. Now what you urgently need is a list showing 5 best video editors for Windows. 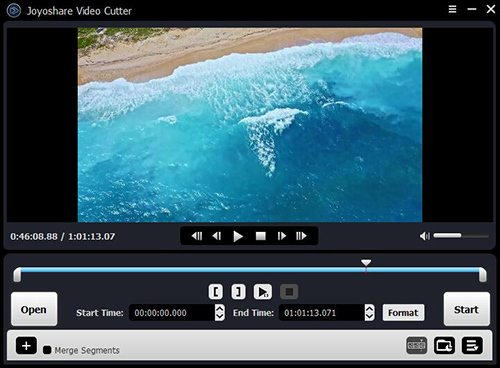 Joyoshare Media Cutter for Windows is absolutely a full-featured video editor for Windows. As its name suggests, it has ability to help you cut off large video files. However, it is more powerful than expected. Any video types are supported and can be converted to designated formats or transferred to portable devices, such as MP4, M4V, MKV, MOV, WMV, AVI, MPEG, DivX, DV, 3GP, ASF, OGV, FLV, SWF, TS, TRP, or Facebook, YouTube, Vimeo, or iPhone X, iPad Pro, Galaxy S8, BlackBerry Bold, Xbox 360, PSP, etc. Other than that, you have right to extract audio track from video, merge video clips into one, make ringtone for iPhone, etc. Comprehensively, this high-efficient video editing tool as well enables you to trim specific section, crop certain area, rotate explicit degrees and apply cool effect. At the same time, you can adjust aspect ratio, brightness, contrast, saturation, hue and transparency in your own way. Furthermore, you can customize watermark to add, which can be designed with personal style. If you need, you can even insert subtitle and edit the related audio track. Provide access to customize codec, resolution, bitrate, channel, etc. 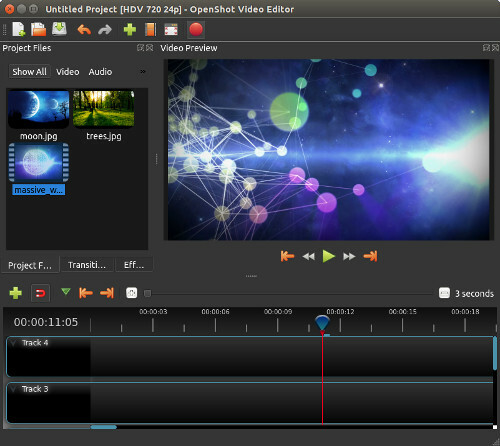 OpenShot is another extraordinary Windows video editor, which is surprisingly simple to use. It can do well in leaving out unwanted portions for you in a quick manner. Moreover, it is worth noting that you can deal with unlimited tracks at a time. With well-designed animation framework, OpenShot delivers a straightforward platform for you to fade, animate, slide, and even bounce anything you want in definite video projects. Alternatively, this smart program also empowers you to remove noise, adjust brightness, visualize audio, add titles, render 3D animations, control playing speed and import any sources and so forth. If you like, you can download it for your Windows right now. 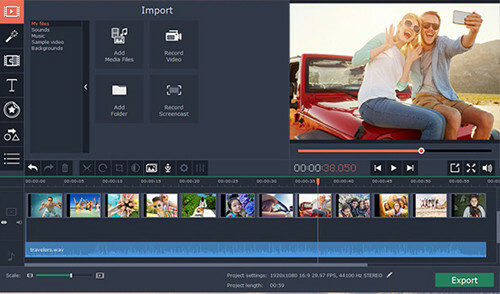 Movavi video editor is one of the best video editing software for Windows, which can be used to create fantastically appealing videos readily. Similar to most video editors in current market, Movavi Video Editor is good at cutting, trimming and rotating video files in high quality. Supposing you would like to produce personalized video directly, you should take advantage of its handy editing functions. Just go forward to get rid of needless pieces, add transitions as well as titles, apply marvelous effects, input music track and make your own voiceover and so on. Hence, you can release yourself from video editing depression and share special video with your friends or families. CyberLink PowerDirector is fairly reputable and competitive video editing software for Windows. It offers capability to render video files in fast way by adopting colorful features. With just one click, it is able to intelligently analyze the required video footage and assist you to adjust saturation, lighting and more. Its biggest unique point is the 360-degree video editing, making seamless 360º titles and 360º stabilization possible. To export your complete video with smooth watching enjoyment, you'd better remember to preview it and add practical transition. Then save it to CD, DVD, or Blu-ray, or upload instantly to YouTube and Facebook. You can find how advanced it is as long as you go for using it. 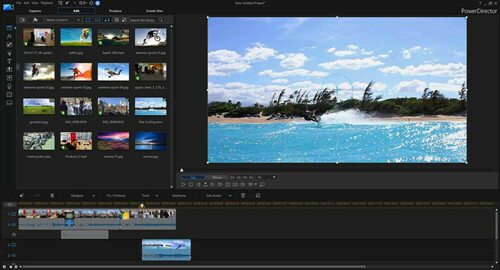 Filmora Video Editor is credibly well-known Windows video editing software for a large quantity of users. With a brilliant and charming user interface, it draws much attention from both video experts and new starters. Under the help of it, you can process all types of videos, like MP4, AVI, MKV, MOV, etc. With the exception of basic features, including cutting, cropping, trimming, splitting and joining videos, there are lots of eye-catching tools you can apply to do more things. It is available for you to create 4K videos, make GIF files, remove background noise, flip video clips, adjust speed, add moving movements and correct color and so forth. 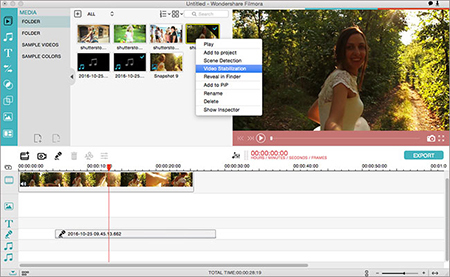 It's high time you should take the aid of one desired video editing software on Windows. For inexperienced users, OpenShot is relatively a simple and dedicated program, which is remarkably an open freeware for you to try. Nevertheless, CyberLink PowerDirector can facilitate you to do 360-degree video editing, which is special when compared to others. In terms of ease of use and diversity of features, you cannot miss such a reliable tool, Joyoshare Media Cutter.